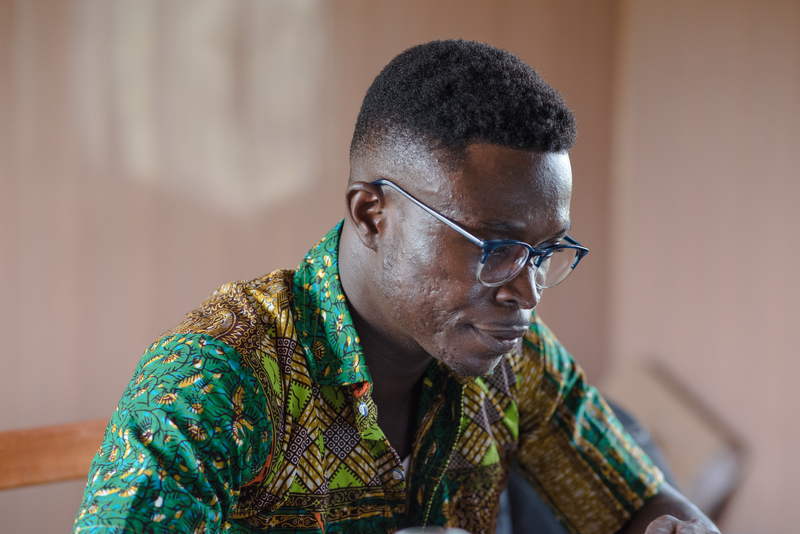 In Ghana, a young man who comes from a deprived community and grew up in poverty is trying to change the narrative with an initiative that is solely based on utilizing the growing of Cocoa into a financial module. Financing quality education for under privileged children in Africa is a challenge for many governments and parents. The lack of education and in some instances quality health care has shuttered the dreams of many. Shadrack Osei Frimpong is the brain behind this initiative and he comes from Tarkwa Breman, in Western Ghana. Like many deprived communities in the middle zone of Ghana, roads are bumpy and development lacking. 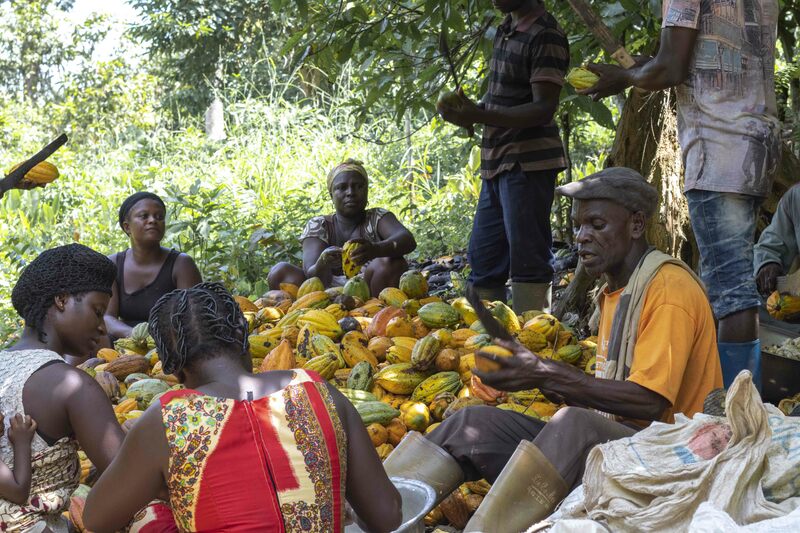 But local farmers in this community work regularly on a cocoa plantation hoping to raise revenue from their produce to finance their children’s education and have a decent health care at a subsidized cost. They are utilizing their cocoa farms for services that are difficult to provide in such communities. Shadrack Osei Frimpong, 26 years of age however manages to get them to succeed with this module. 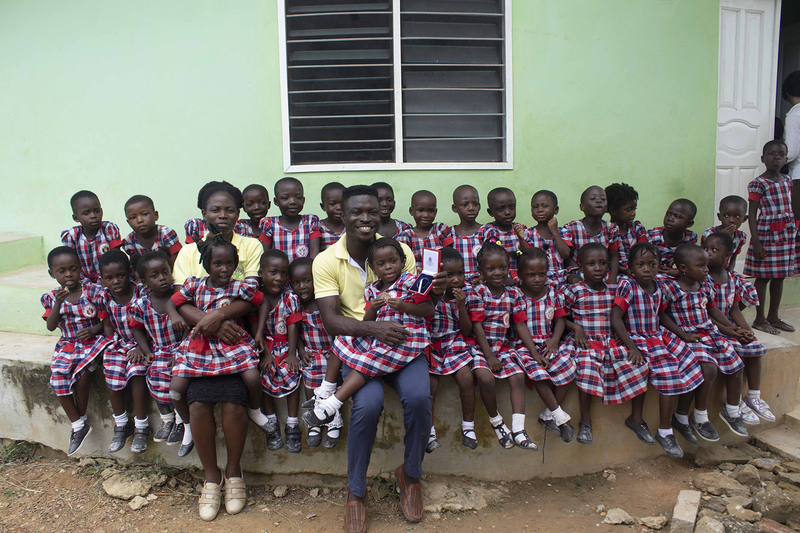 “And as someone who grew up in abject poverty, didn’t see electricity perhaps for the first decade of my life, and grew up without running water and electricity, in a place as far that remote, I felt an obligation and I was compiled to come back to Ghana and go back to my community to effect some change” Frimpong added. Frimpong upon his return to Ghana set up the Cocoa360 organization. The focus of the group is to find a module that encourages the education of young girls and provision of quality healthcare to his native community from the growing of Cocoa. His father is a cocoa farmer for over four decades. His mother sells charcoal and they could not have been able to finance his education to the US. Frimpong says his parents’ occupation as cocoa farmers inspired his Cocoa360 initiative. “People identify, everyone out there identifies Ghana with Cocoa, chocolate and that kind of stuff. But the interesting dynamic is that the very cocoa farmers are also some of the very poorest people in this country. So we went back essentially, with a seed funding from pen (University of Pennsylvania) we decided as a community to start something really new. The community gave fifty acres of land, we used ten acres of that land to set up a tuition free all-girls school, and a community hospital. And then we used the remaining, 40 acres to set up a cocoa plantation,” he said. The module means parents work on plantation to finance the education of their girls and receive subsidized health care. Frimpong studied medicine in the USA and could have gone ahead to further his education for a better paid job. He says it would have been unfair on his part not to have helped the many kids languishing in poverty back in his village. The school girls benefit from a highly sophisticated education. It exposes them to the best of teaching while their parents work on the farm to sustain it. This breeds a sense of ownership among residents and responsibility on the part of parents. Frimpong and his team from the Cocoa360 project coordinate the module. He says the challenge initially has been to get families to sign on. But with the success story so far since 2016, the plan is to extend to other communities. “We want to as much as possible, in the next ten years, scale to as many as no less than 25 cocoa growing communities. At that point we know that things would have been fully at a stage where the government can pick up and scale to eventually to all the 1,300 cocoa growing communities. I think that would be a beautiful thing to do for the 1.6million cocoa farmers we have in this country who make sure that Ghana still stays as the second leading exporter of Cocoa” he said. Frimpong has had the support of family along this path. 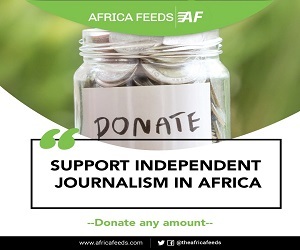 His brother, Emmanuel Osei Frimpong told Africa Feeds that the support isn’t ending any time soon. Frimpong’s idea started small but largely it could be the solution to boosting the Agric sector in a country that depends hugely on Agric. But it also provides opportunity for children to go to school and get proper medical care.